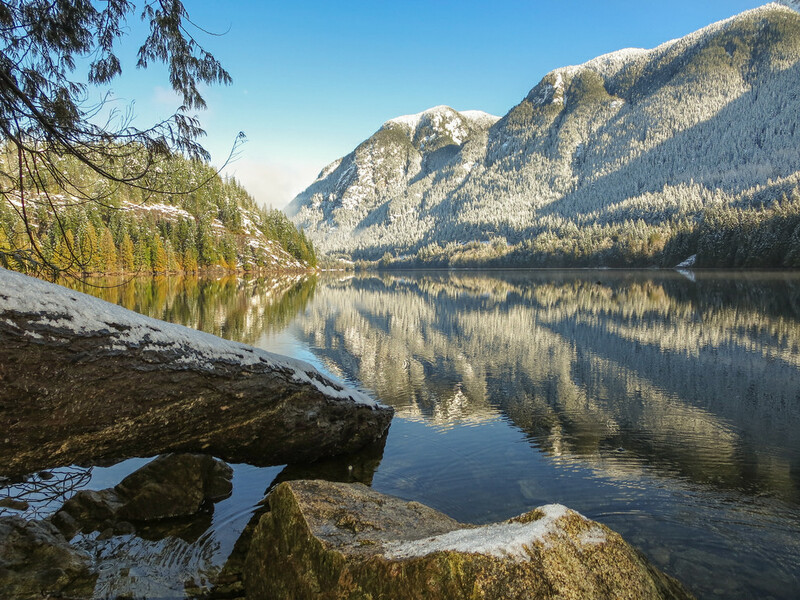 The Buntzen Lake Recreation Area, located just north of Anmore and a 45 minute drive east of Vancouver, is a nature lover’s paradise. Buntzen Lake is flanked by Eagle Ridge/Mountain (1,240 m) to the east and Buntzen Ridge (560 m) to the west. 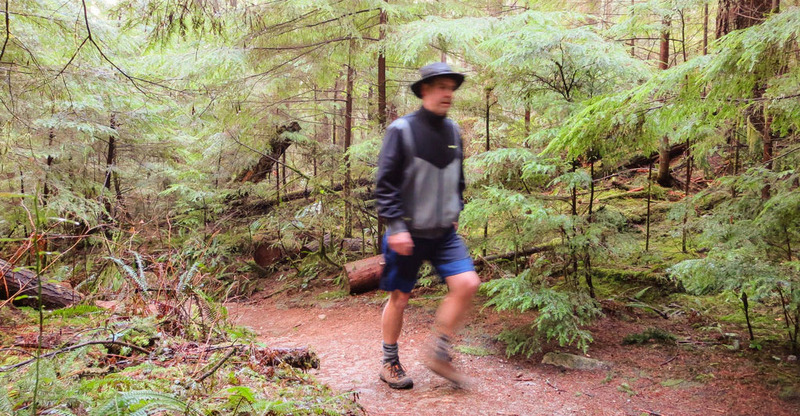 Indian Arm Provincial Park and Belcarra Regional Park make up a large portion of the surrounding hiking trails, which are suited for all levels of experience and physical abilities. Buntzen Lake, once named Trout Lake and later Lake Beautiful (by a group of hikers), was named Buntzen Lake in 1905 in honour of the first general manager of the BC Electric Railway Co., Johannes Buntzen. Buntzen Lake is an active hydroelectric reservoir that was once Vancouver’s main electricity source. Check the HISTORY page to find out more !! Today, the Buntzen Lake Power Plant produces less than 0.4% of the power produced by all BC Hydro generating facilities. However it has the distinction of being the first hydroelectric generating plant to supply the Lower Mainland of BC. In the early years it was considered to be an engineering marvel and after over 100 years – it still produces inexpensive power. 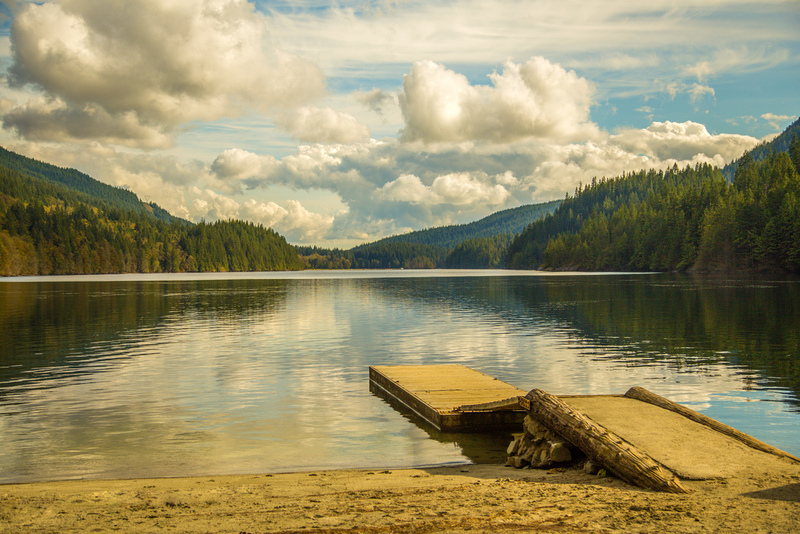 In 1972, BC Hydro completed the formal development and beautification of the Buntzen Lake Reservoir Recreation Area. NOTE: Buntzen Lake can get very busy, especially on sunny summer weekends. Even with roughly 600 parking spaces, once it’s full, their policy is to stop letting people in for safety reasons. If it’s a weekend or holiday and the weather is gorgeous, get to the lake before 11:00 (It has even been full at 10:30) so you can enjoy your day. Sometimes they re-open the gate in the early afternoon.